We have 5 Kindle Fires for giveaway to 5 Android.StackExchange users who best answer one or several particular unanswered questions posed on this site. Leave an answer at one or several of 22 questions in the "Kindle Fire Contest." These are questions that have been left unanswered for some time, and that may hold relevance to Android users and troubleshooting Googlers into the future. Improve the Internet... earn a chance at a Kindle Fire! For every answer you leave that is either accepted or the top upvoted answer on the question, your name will be entered to win a Kindle Fire. Results will be calculated and winners will be picked in a random drawing on Monday, Dec. 5 at 10am EST. Contest participants may answer multiple questions -- in fact, it is in your best interest to do so, as each top answer will increase your chances of winning a Kindle Fire. Each participant can only win 1 Kindle Fire. If fewer than 5 participants leave top answers by the deadline, then all second-top answerers will be entered into a random drawing for a Kindle Fire. Question askers cannot enter the contest by accepting answers that they have left themselves. Eligible contest questions can be found below. How can I download email attachments only when requested? Google Latitude and multiple devices - How to prevent location jumping? How can I change the naming convention of the stock camera/gallery app? How can I prevent my screen from turning off while on a phone call? Samsung Galaxy 5 Wi-fi stops working: "ar6000 driver fails to load"
Text-to-speech reader for Google Voice SMS text messages? How can I fix the Wi-Fi button or prevent Wi-Fi errors when turning it off and back on? How can I prevent applications from running on startup? 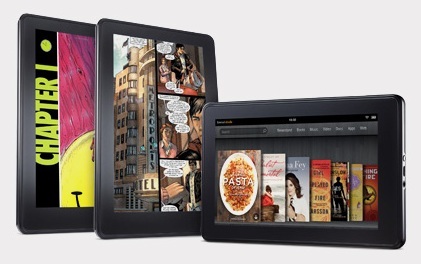 Congratulations to users JT703, Martin, Flow, masterjo and Erowlin, who will each receive a Kindle Fire in the mail. Of dozens of answers submitted for 23 22 eligible questions, 66 answers remain undeleted by moderators today, with 4 marked correct by question askers during the contest period. 19 users were included in the random drawing, with users Martin (5), nonsleepr (2), Eddie (2), and Tom (2) each receiving multiple entries. Thanks for participating and watch out for another contest soon!